What ever happened to the hull of HSL142 which is displayed on you website as being owned by Mick Dent? My grandfather served with 27 ASRU out of Dover/Ramsgate. I have a photo of him on HSL149 out of Ramsgate. If I'm correct HSL102 which was restored recently was the earlier model and not a "Whaleback". Are there any Whalebacks in existence restored and what is the current state of HSL142? I can't help with 142's present state, but I can confirm that HSL 102 is an earlier model (64 foot sometimes called a 100 class launch or a Type 1 HSL) whilst 142 and 149 were 63 foot boats with the distinctive hollow back deck lending them the Whaleback name (sometimes called a Type 2 HSL). 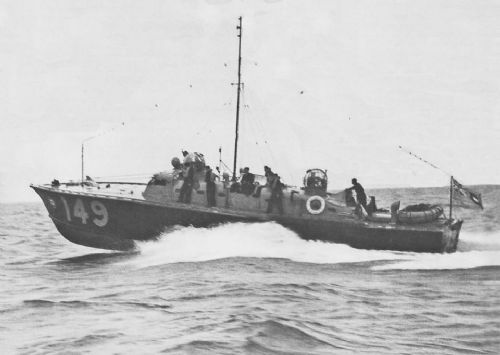 142 and 149 were both part of an order originally made by the South African Air Force, but the boats were requisitioned by the British government and taken on as RAF boats. Just to let you all know the fate of 142 , she was cut up by the very same organisation you are all part of , the BMPT ! 43 ‘ RSL 1664 , a 16 ft BPBCo planing dingy suffered the same fate , as did others . In my view this was an appalling act of vandalism by an organisation set up to save them . 142 was probably the RAFs most photographed boat and could have easily been restored , but a box of matches prevented that from happening! What a sight she would be today alongside 102 and 81 . Which model do you have ? 1255 must be a pinnace. A group of us are circumnavigating the U.K. in 441 next year for charity. The bmpt trustees should have been held to account for what they did . My father (95 and counting) served the whole of WW2 in the RAF Air Sea Rescue service on HSLs on the North Sea and English Channel. Researching. What you say Phil is absolutely right. Its not all bad though, at least 4 BPBCo boats survive because of you preserved in working order.